2006 Avalon, 137,528 miles, options include: a Premium Sound System, Keyless Entry, Multi-zone Climate Control, Heated Mirrors, Steering Wheel Audio Controls, a Power Tilt/Sliding Sunroof, Fog Lights, Power Windows, Aluminum Wheels, Leather Seat Trim, Automatic Climate Control, a Power Drivers Seat, a Spare Tire (Full Size), Daytime Running Lights, Power Locks, Steering Wheel Controls, a Leather Wrapped Steering Wheel, Front Wheel Drive, Power Mirrors, a CD Changer, Wood Trim, Bucket Seats, a Garage Door Opener, a Power Passenger Seat, Cruise Control, an Auxiliary Power Outlet, an Adjustable Steering Wheel, Anti-Lock Brakes, Knee AirBag, an AM/FM Stereo, Air Conditioning, Disc Brakes, a Drivers Air Bag, an Auto Transmission with Manual Mode, a Gasoline Engine, a Rear Head Air Bag, Rear Reading Lamps, a Front Side Air Bags, Intermittent Wipers, an Auto Dimming R/V Mirror, a Front Head Air Bag, a Single-Disc CD Player, an Auto Headlamp, a Passenger Air Bag Sensor, Child Proof Locks, a Tilt Steering Wheel, Power Steering, a Passenger Air Bag, an Emergency Trunk Release, Variable Speed Intermittent Wipers, a Trip Computer, a Cassette Player, and Remote Trunk Release. 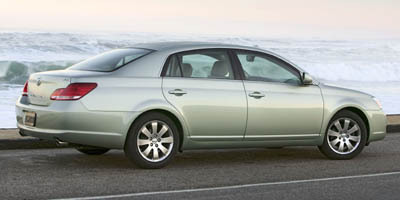 This 2006 Toyota Avalon XLS, Stock number 8579 features a Blizzard Pearl exterior. Factory equipped with an impressive 6cyl, 3.5l, 268.0hp engine, an 5-speed automatic ect-i w/od & sequential shift transmission and front wheel drive, this Toyota Avalon is ready to conquer the roads! Contact us today to schedule a test drive of this 2006 Toyota Avalon XLS! Or stop in at 520 East Main Whiteland, IN to check it out in person! This awe-inspiring vehicle as well has Keyless Entry, Steering Wheel Audio Controls, and a Premium Sound System. This awe-inspiring vehicle as well has Multi-Zone Climate Control, a CD Changer, and Steering Wheel Controls to help keep you safer on the road. This awe-inspiring vehicle as well has a Universal Garage Door Opener, an Auxiliary Power Outlet, and Single-Disc CD Changer. This awe-inspiring vehicle as well has a Cassette Player.